R is the most widely used open-source statistical and programming environment for the analysis and visualization of biological data. 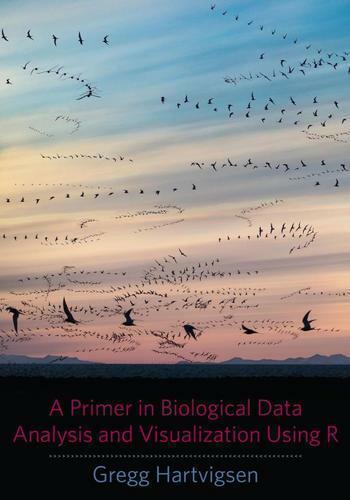 Drawing on Gregg Hartvigsen’s extensive experience teaching biostatistics and modeling biological systems, this text is an engaging, practical, and lab-oriented introduction to R for students in the life sciences. Underscoring the importance of R and RStudio in organizing, computing, and visualizing biological statistics and data, Hartvigsen guides readers through the processes of entering data into R, working with data in R, and using R to visualize data using histograms, boxplots, barplots, scatterplots, and other common graph types. He covers testing data for normality, defining and identifying outliers, and working with non-normal data. Students are introduced to common one- and two-sample tests as well as one- and two-way analysis of variance (ANOVA), correlation, and linear and nonlinear regression analyses. 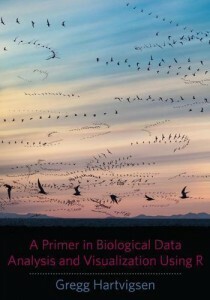 This volume also includes a section on advanced procedures and a chapter introducing algorithms and the art of programming using R.
Gregg Hartvigsen is a professor in the Department of Biology at the State University of New York at Geneseo. He taught a workshop on network analysis using R at the National Institute for Mathematical and Biological Synthesis at the University of Tennessee, Knoxville, and was a visiting scientist and site reviewer for the Mathematical Biosciences Institute at Ohio State University. He also served as co-PI on a National Science Foundation training grant for undergraduate biology and mathematics.